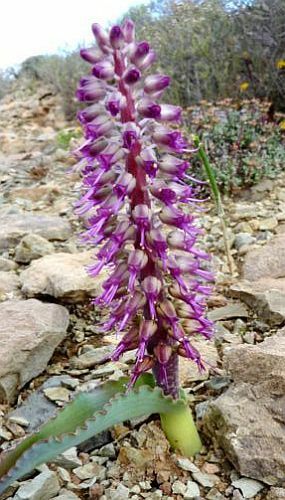 ﻿Lachenalia namaquensis, a member of the Hyacinthaceae family, is native to South Africa. The grows up to 20 cm. Beautiful pink to purple flowers.